Confetti does not spawn excitement no matter how much you try. 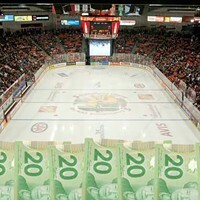 It was announced today that RBC will dump $1 million over the next decade into Halifax's Dartmouth four-pad arena. As a result, the facility will now be formally known as the RBC Centre. The bank purchased the right to stick its branding all over municipal property by offering up $100,000 per year for the next 10 years. RBC’s “investment,” comes after months of closed-door negotiations between HRM and RBC. It also includes a “commitment to programming,” with RBC offering RBC Family Days and RBC clinics with RBC-branded Olympians. “The RBC Centre brings together people from across our region, and is an important part of our shared commitment with RBC to invest in healthy, livable communities,” mayor Mike Savage said about RBC in a press release. Newly opened in September last year, the $43-million facility quickly united community members in frustration over design flaws. Since then, HRM estimates it has welcomed some 1.5-million visitors. 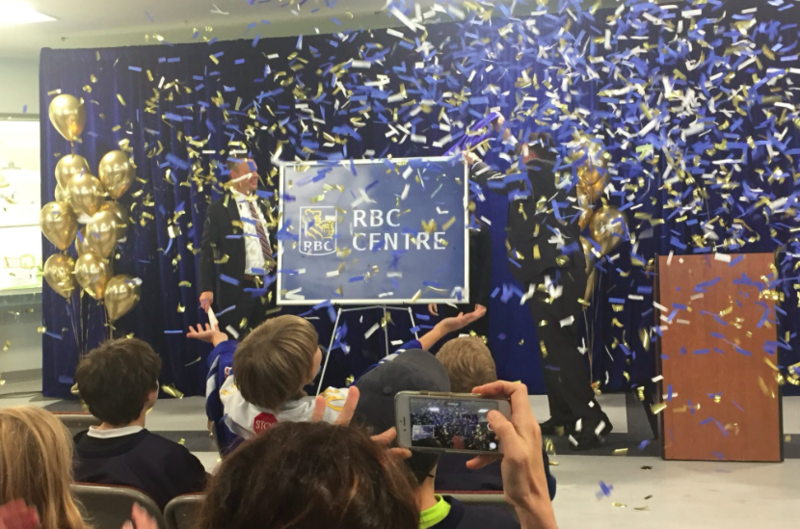 “The RBC Centre is a space that helps kids and families create memories together, develop friendships and build the foundation for a healthy active lifestyle,” states RBC regional president Roger Howard. It's the latest bit of municipal infrastructure purchased—in name, at least—by a major bank. The RBC Centre joins the BMO Centre in Bedford and the Scotiabank Centre downtown. The naming rights for those buildings were sold on similar 10-year contracts: Scotiabank offered $6.5 million to brand the former Metro Centre, while it's not been disclosed how much BMO paid for the four-pad arena in Bedford. Up next on the naming rights sales block will be the under-renovation Dartmouth Sportplex. Whenever it's finished, that is. The municipality announced this week that extreme humid conditions from this past summer have delayed completion of that $28-million construction project. The future CIBC Centre or TD Centre or whatever will now officially reopen to the public and begin recreation programming next February. 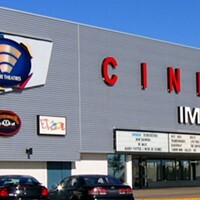 Last remnants of Empire Theatres to be replaced.